Left gonadal vein drains into which among the following? Renal veins: Drain the kidneys. The gonadal veins are not bilaterally symmetrical. The left gonadal vein drains into the left renal vein, in contrast to the right gonadal vein. 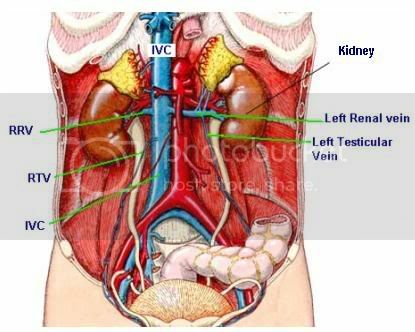 Right gonadal vein: Drains the right testis or ovary by entering the inferior vena cava, inferior to the right renal vein. Chapter 11. Posterior Abdominal Wall. In:Morton DA, Foreman K, Albertine KH. eds. The Big Picture: Gross Anatomy. Todays Facebook Winner is Preeti Gupta, receiving a FREE Mock Test from GateToMedicine. You need to send us your email id to customercare@gatetomedicine.com. Congratulations!